A beef loin New York strip roast is a good roast beef candidate because it is flavorful and tender with a fair amount of marbling. 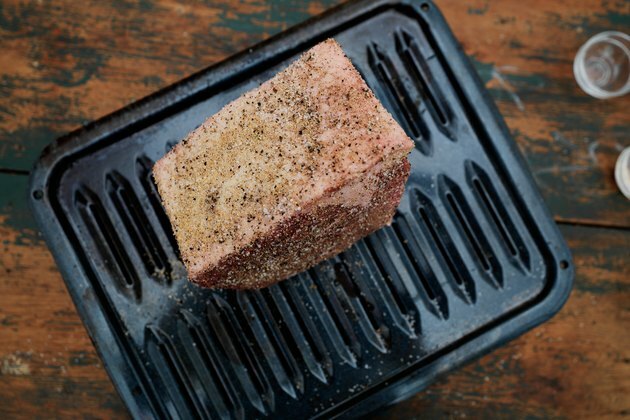 The Texas Beef Council recommends using a dry roasting method for this particular cut of beef roast. 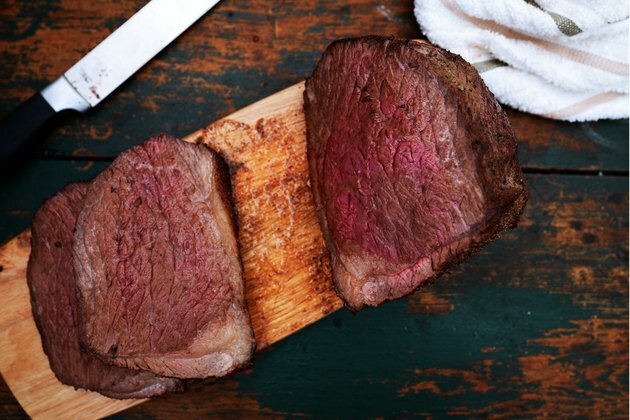 The USDA says to cook all beef products to at least 145 degrees Fahrenheit. Preheat the oven to 375 degrees Fahrenheit. 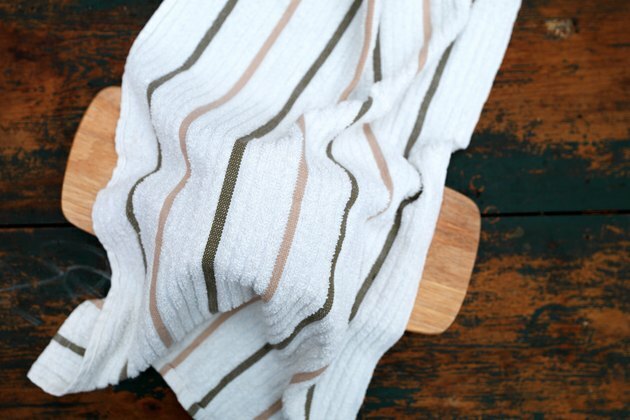 While the oven heats up, allow the roast to warm to room temperature, covered on the counter. 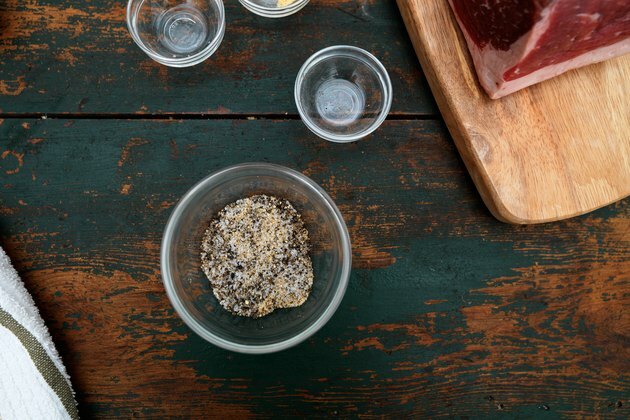 Mix a dry rub using two parts of black pepper, two parts of onion powder and one part of salt. 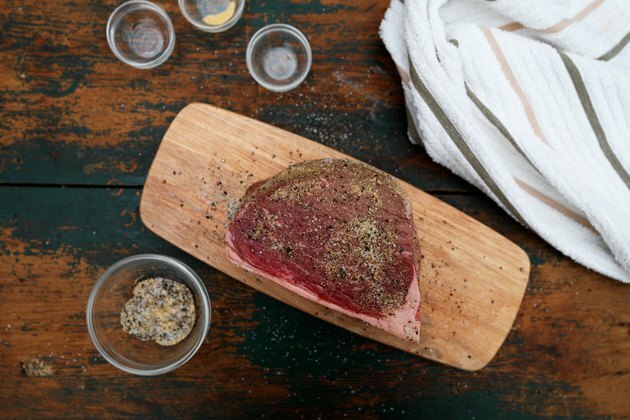 You can add other spices to a dry rub if you wish; other common dry rub ingredients include a half part of cayenne, two parts of garlic powder or one part of paprika. Massage the dry rub into the surface of the roast. 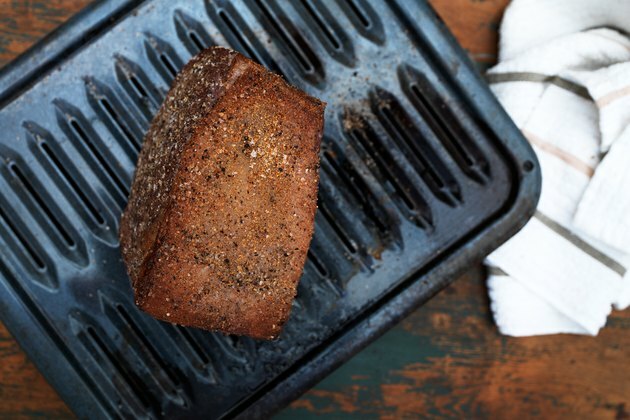 The thicker the dry rub layer, the thicker the crust becomes, which adds flavor and helps retain juices within the roast. Set the roast in the roasting rack with the fat side of the roast facing up. 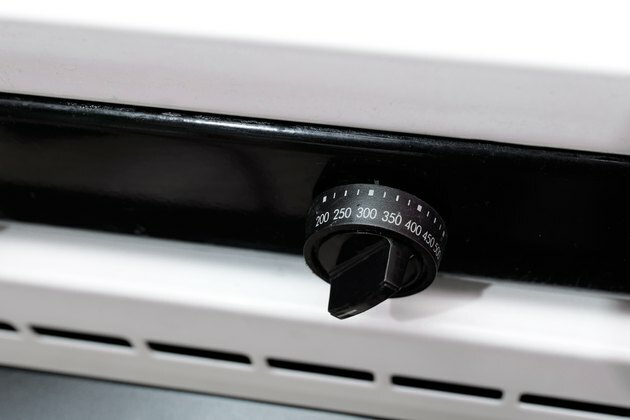 This allows the melting fat to baste the roast during the cooking process. Place the roast in the oven for 20 minutes. This sears the outside of the meat, browning it just enough to lock in the juices. Reduce the oven heat to 325 degrees. Continue roasting the New York strip for another 14 minutes per pound. 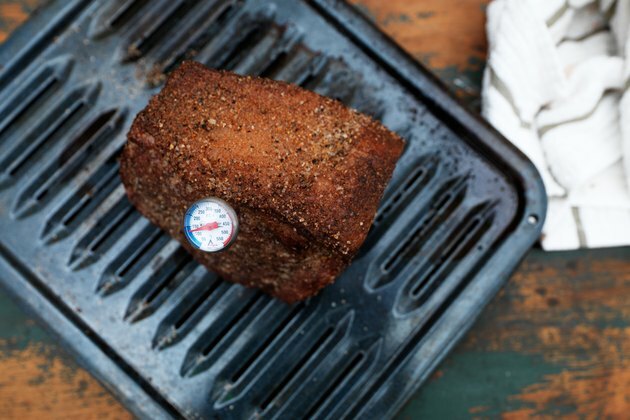 Insert a meat thermometer into the center of the roast to check the doneness of the roast. At 145 degrees, the roast is considered done "rare." At temperatures between 150 to 160 degrees, the roast is considered "medium" and "well done" at 160 to 170 degrees. The roast can be cooked in a barbecue using the same method.